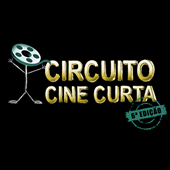 Circuito Cine Curta (“Short Film Circuit”) has been bringing film culture into classrooms for five years, thanks to sponsorship from Valid and from the City of Rio de Janeiro, and is now successfully entering its sixth year. For almost 15 years, the Passageiros do Futuro project has been training youth for technical and artistic roles in the theater. Late yesterday afternoon (September 2nd), Valid announced the signing of the documents to purchase all the shares issued by Fundamenture, a Danish company in the global Telecom business.